Local Psychotherapist / Astrotherapist Alan Salmi ( website / Facebook ) recently posted this image to the Chicago Pagans group on Facebook. 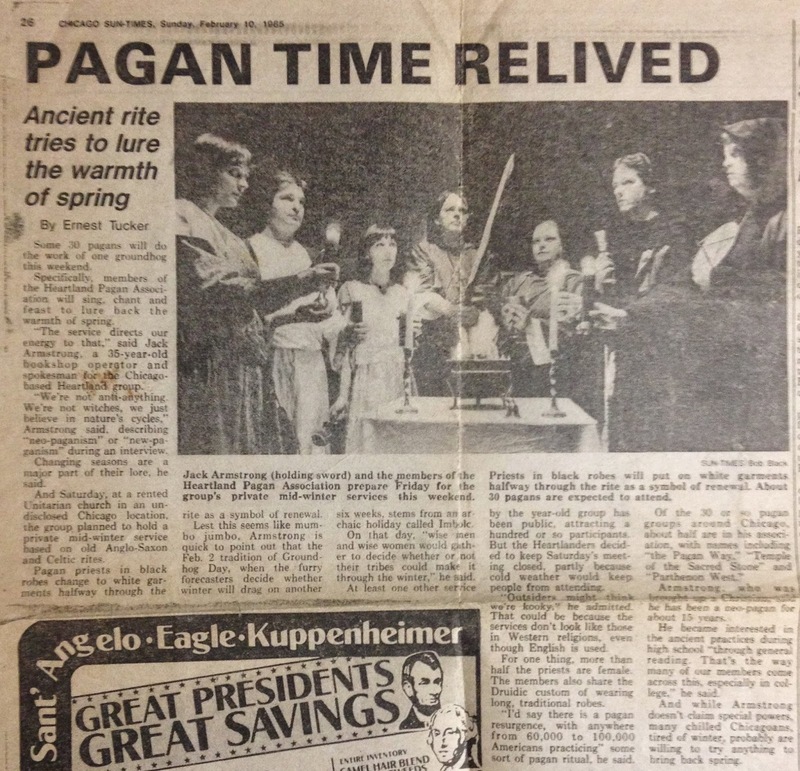 "For those of you who think Pagans are recent in Chicago: this is from Feb. of 1985. My teacher, Althea had been initiated more than ten years before that in Chicago. She's left of center and is now coming on 40 years of magickal practice. Before that occult revival, there were Theosophists, new thought practitioners, magickal lodges, masonic groups, spiritualists and groups with contacts to inner plane masters. Chicago has been a center for the esoteric community for years and years!"